Wearable tech is the next big thing in the technological revolution that’s been dramatically influencing our lives and introducing new technologies every now and then. Smartwatches and fitness trackers are really the must-have devices everyone wishes to have and unless you’ve been living under a rock you already know that it’s time you get one yourself. Smartwatches are all the rage these days and looking at the numbers, the wearable tech market is really blooming. While health and fitness wearable technologies have been around for a while, they are now available as stand-alone devices or in combination such as fitness trackers and smart watches. But some confusion seems to surround what makes a smartwatch different from a fitness tracker. Many people believe both wearable technologies are one and the same, but this is not the case. Smart watches are computerized wrist watches and the most efficient wearable tech with fitness tracking capabilities that go way beyond this and incorporate much of the functions as your smartphone. A smart watch is more like a wearable computer because it’s a combination of a wrist watch, smartphone, and fitness tracker. It’s like an extension of your smartphone that can do almost anything your smartphone can do. Smart watches have cell phone capability meaning it can send notifications like new text, email, or social media message to your smartwatch, along with incoming call notifications, and calendar event notifications. And that’s not it. You can even go through photo galleries on your phone from your smartwatch. You can even access Google Now and Siri with your smartwatch using just your voice just like you do with your smartphones. Fitness tracker, also known as activity tracker, is a standalone device that can be worn on the wrist or in multiple locations on the body. As the name suggests, it’s a wearable device that monitors your daily physical activities and fitness-related metrics such as steps, running distance, heart rate, sleep patterns, swimming laps, calories burned, and more. It’s an activity tracker that acts like a smart watch but does more than just showing time. Whether you’re a fitness freak or a gym nut or a casual runner, fitness trackers are specifically designed to keep you in your best shape by keeping tabs on your daily activities. Fitbit is the most recognized name in the fitness tracker business and if one of your friends or family owns a fitness tracker, there’s a good chance he or she owns a Fitbit. While both are standalone devices, they are used in a variety of situations and for different purposes. A fitness tracker is a wearable device designed to keep you in your best shape by keeping tabs on your daily physical activities such as steps, distance run, heart rate, etc. A smart watch is a combination of a wrist watch, smartphone, and fitness tracker with fitness tracking capabilities and incorporates much of the same functions as your smartphone. A smart watch is like an extension of your smartphone that can do almost everything your smartphone does. Fitness trackers, as the name suggest, pretty much do exactly what they sound like: tracks fitness-related metrics such as steps, running distance, heart rate, sleep patterns, swimming laps, calories burned, etc. Fitness trackers are activity trackers that monitor your physical activities to keep you in your best shape. Smartwatches are general purpose wearable tech that is also capable of fitness tracking but send notifications like new text, email, or social media message to your smartwatch, along with incoming call notifications, and calendar event notifications, plus allow access to apps. Almost every smartwatch in the market uses a backlit LCD display or an OLED display just like smartphone display technologies. New Smartwatches use the latest AMOLED display that is found in Samsung’s latest smartphones. Many Smartwatches incorporate the PMOLED displays which stand for Passive-Matrix Organic Light Emitting Diode. Fitness trackers aim for fitness tracking, so companies don’t bother about display technology but the new Fitbit Charge 3 features the OLED display. The price difference is one of the key points when comparing Smartwatches and fitness trackers. 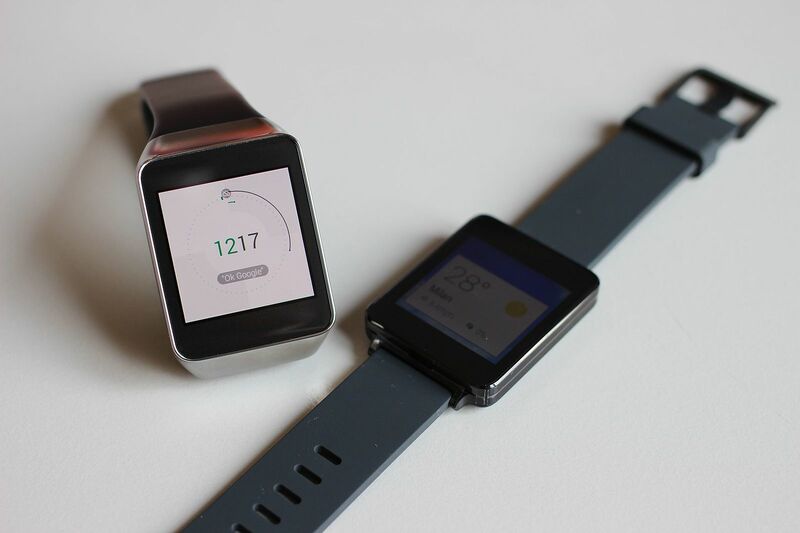 Unlike fitness trackers which are relatively cheaper, Smartwatches run on a little higher side. The Fitbit Alta HR costs around $150 and the Fitbit Charge 3 starts at $149.95, while an entry-level smartwatch costs roughly around $250 with the high-end watches running higher. The Samsung Gear S3 starts at $349 which is quite expensive for a smartwatch and the Apple Smart Watch Series 4 costs $399. 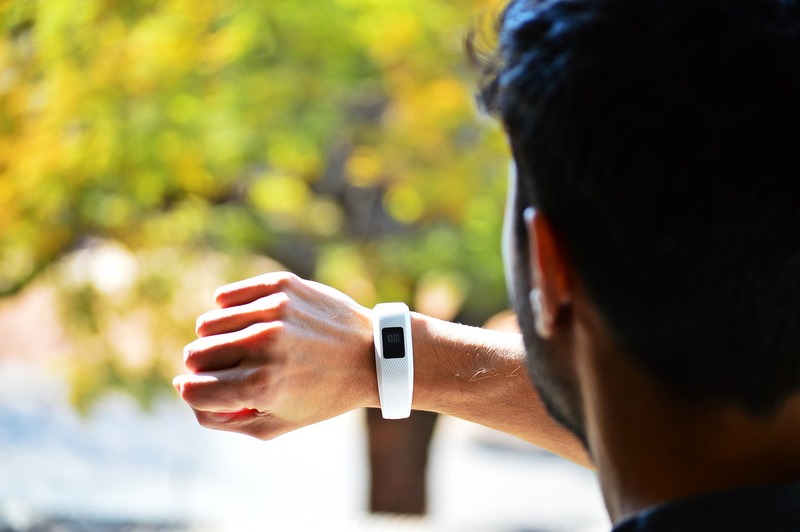 Smartwatches and fitness trackers are two different stand-alone devices that are used in a variety of situations for many different purposes and with many different populations. Some wear Smartwatches for fun or as a fashion statement because a smartwatch not only looks great on your wrist but it should also tell you more than just the time. Fitness trackers are a whole different story; it’s exactly what it says it is – a fitness tracker. It’s a fitness enthusiast’s personal activity tracker that records a person’s daily physical activity along with other health related data. If you’re a fitness freak that wants everything fitness related and nothing else, then fitness tracker is your thing. And if you’re into multitasking and wants a device that keeps tabs on your fitness level as well as acts like a smartphone, then you should go with a smartwatch. Sagar Khillar. "Difference Between Smartwatch and Fitness Tracker." DifferenceBetween.net. 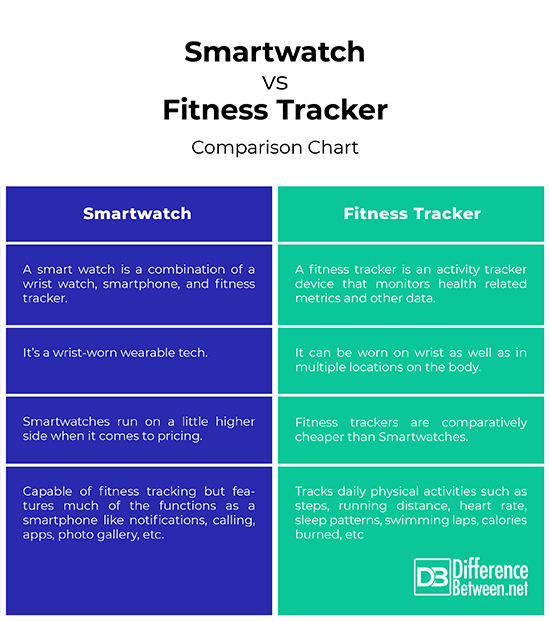 January 10, 2019 < http://www.differencebetween.net/technology/difference-between-smartwatch-and-fitness-tracker/ >.